Tombstone Adventure Company is here to guide you from the world of ordinary into that of the…EXTRA-ordinary. Discover an entirely new way to experience the old west from one of Southeastern Arizona’s beautiful Sky Islands with professional, ethical, and local guides. Whether you are seeking a physically challenging quest, Native American history and culture, or nature’s allure, we have the right adventure for you! Whichever adventure you choose, you will experience boundless natural beauty at 5,200 ft ele. 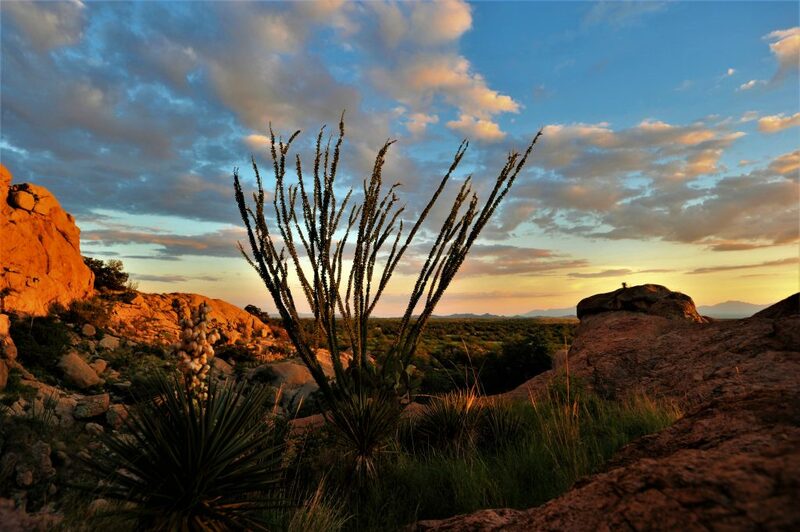 with up close views of the Cochise Stronghold region and a bird’s eye view of the San Pedro Valley into Mexico. 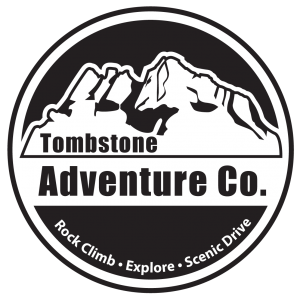 While operating, Tombstone Adventure Company is a proud holder of U.S. Forest Service issued special-use permits (required by ALL companies that operate on National Forest Public Lands). To ensure our clients will have safe high-quality rock climbing/rappelling or cultural/eco-environ interpretive experiences, all our guides are certified by accredited wilderness schools as Wilderness First Responders and our “Explore” adventure guides are certified by the NAI as Certified Interpretive Guides. Our adventures are designed to accommodate different levels of experience/physical ability and a variety of interests. All adventures are family friendly for those with children 8+ years of age and require no previous experience. Adventuring with us is simple so you can enjoy more and stress less. Simply choose then reserve an adventure from our “Adventure Menu”, and let us handle the rest. 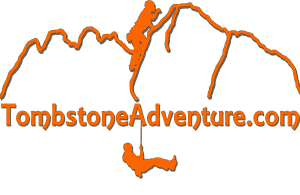 We provide you with certified and professional outdoor adventure guides that maintain 20 years of outdoor guiding and rock climbing experience. If the adventure calls, we outfit you in top brand safety gear from Black Diamond ® and Petzl ®, then guide you off the beaten path into a stunning outdoor haven where you will experience Southeastern Arizona in spectacular ways. We invite you to come adventure and explore with us in one of the most unique and biologically diverse areas in North America. Let us guide you into this unique area where the Rocky and Sierra Madre mountain life zones converge with the Sonoran and Chihuahuan deserts. *Military and Cochise County residents always enjoy 10% off all adventures!! !